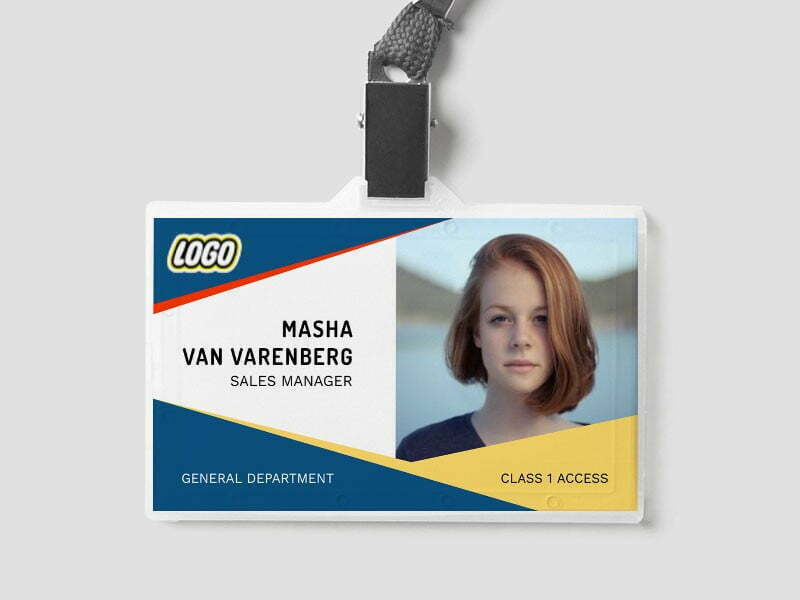 Mass Watermark is a desktop image program that allows to create original watermarks or logos thanks to its inbuilt Watermark/Branding Designer. And now I would like to guide you how to make a wonderful logo in few clicks. 1.Download Mass Watermark tool from its official website and install it on your computer. 2. 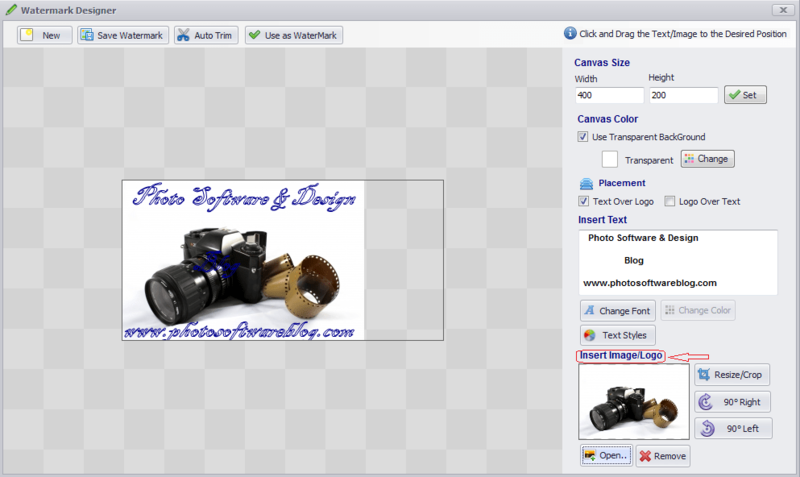 Launch the program and press the button Open Watermark Designer. 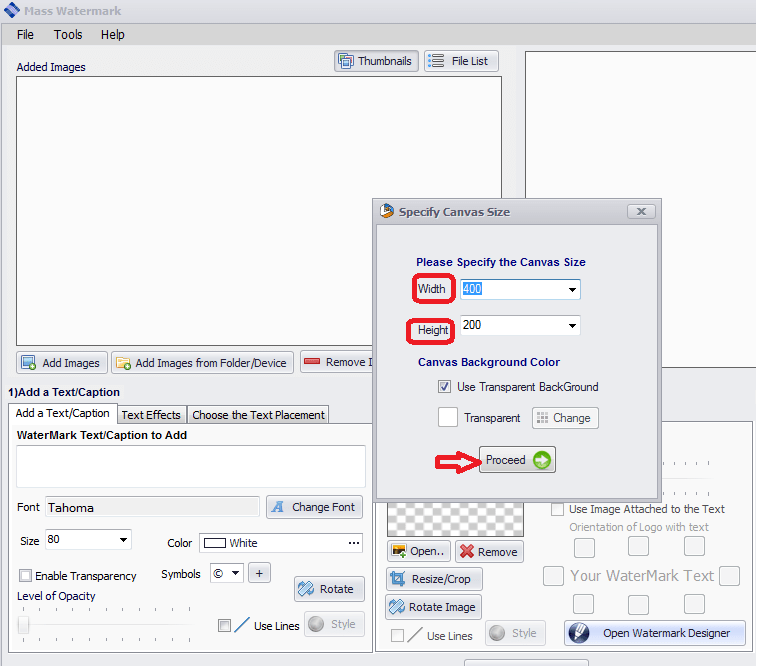 In the opened window set the canvas sizes (width and height, transparency) and click on Proceed. 3. Insert the necessary text on the canvas. You can change fonts and text styles. 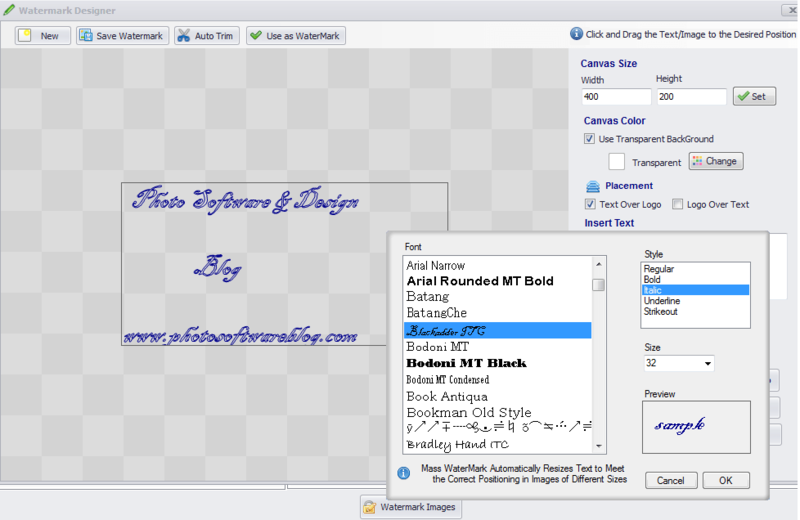 The program automatically resizes text to preserve the correct proportions inside the watermark field. There are two options for the watermark placement. Select between text over logo or logo over text positions. 4. Place an image or logo to make your watermark more vivid. 5. 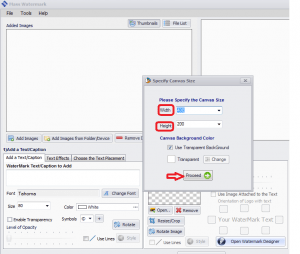 Save the newly created watermark on your pc. Besides, you can immediately apply the logo to your photos. Just press the button Use as Watermark and you’ll be redirected to the main window. 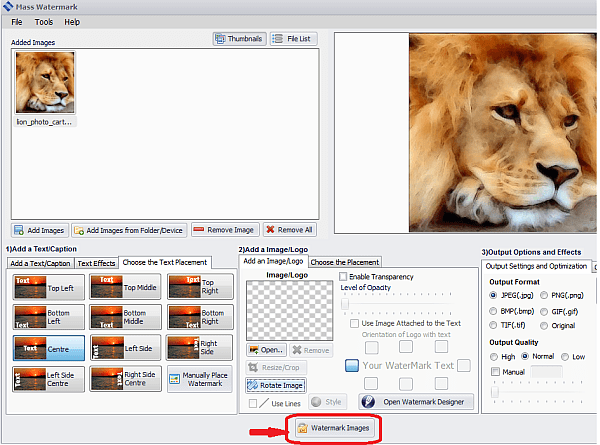 It is possible to watermark one particular picture or a bunch of photos. 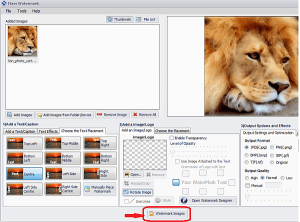 When the photos are protected with a watermark you can upload them to Picasa Web Album or Flickr directly from the program. I wish there were more popular photo sharing sites and photo viewers covered in Mass Watermark. What made me fall in love with this fantastic watermarking application is an inbuilt image cropping and resizing tool, a wide range of preset watermark positions and a possibility to add meta data like author, copyright, creation date and other important details. Drawing the line I must admit that Mass Watermark is a useful desktop program with simple, user-friendly interface but you should pay 30.00 dollars for the license. 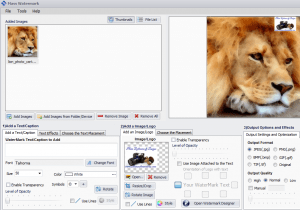 Nowadays we are spoilt with numerous free online applications that have similar or even richer tool sets. However you can use a trial version with certain limitations for ever.